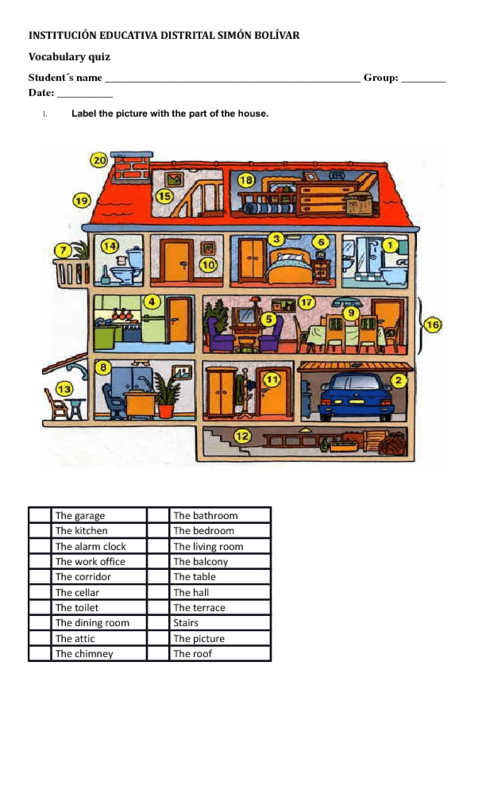 In this worksheet students can practice the house vocabulary. In the first part of the worksheet they have to label house parts. The second and third ones deal with writing words in English and Spanish. 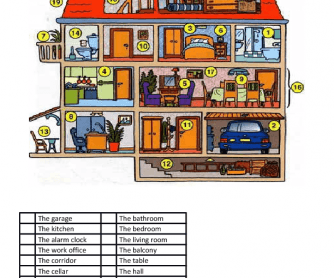 The last one is to classify the words related to different parts of the house.